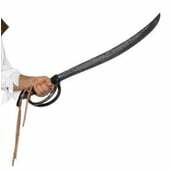 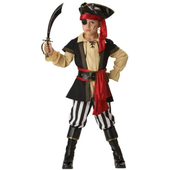 Kids Pirate costume consists of a white shirt with jabot and attached black vest with gold chain detailing. 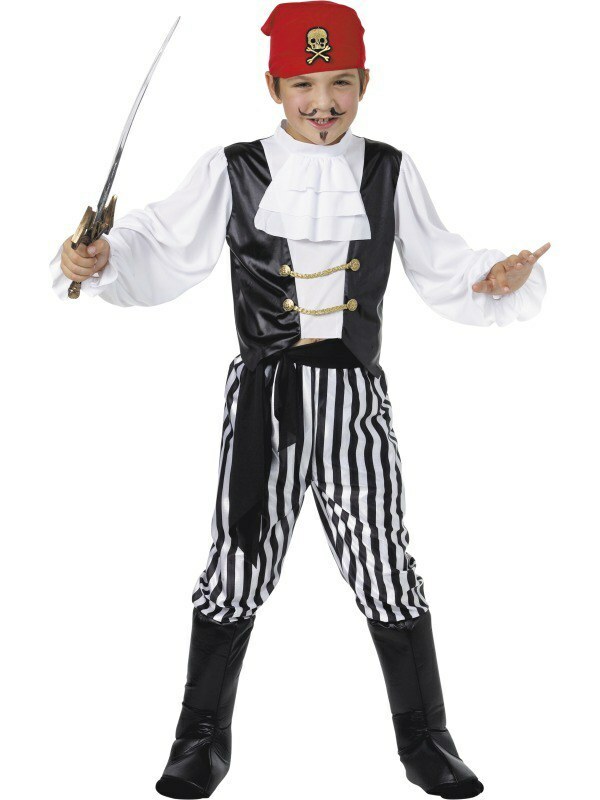 A pair of black and white striped trousers and a red headscarf with skull print are also included. 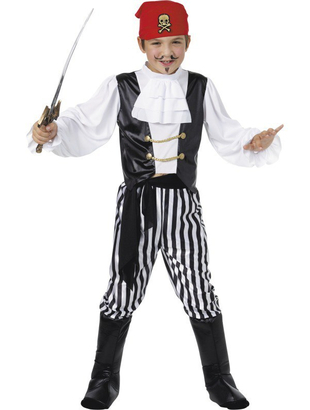 To complete the look the costume also includes a black belt and a pair of boot covers. 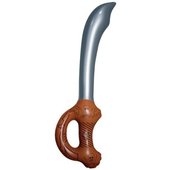 Please note that the sword is not included but may be purchased separately.